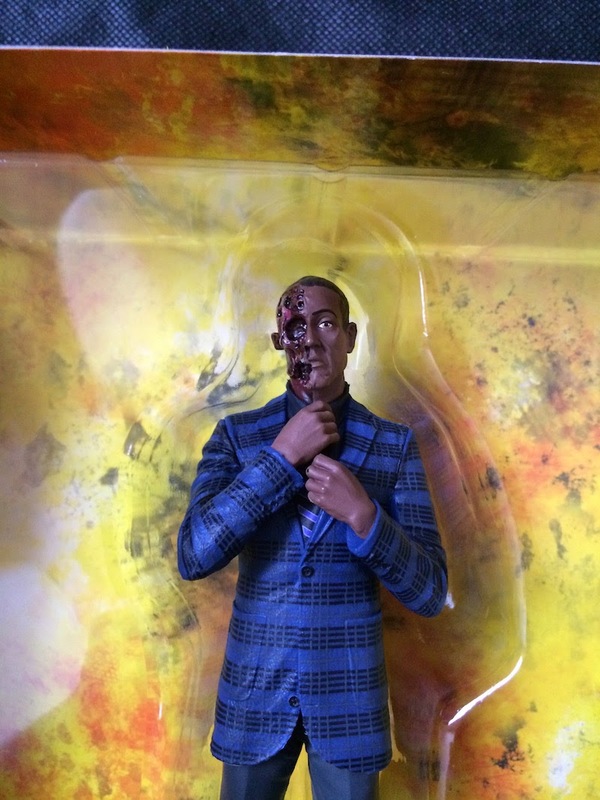 Fans of the AMC hit series, Breaking Bad, will now have the chance to recreate the famous scene where Gus Fring gets half his face burned off with this new action figure from Mezco Toyz! 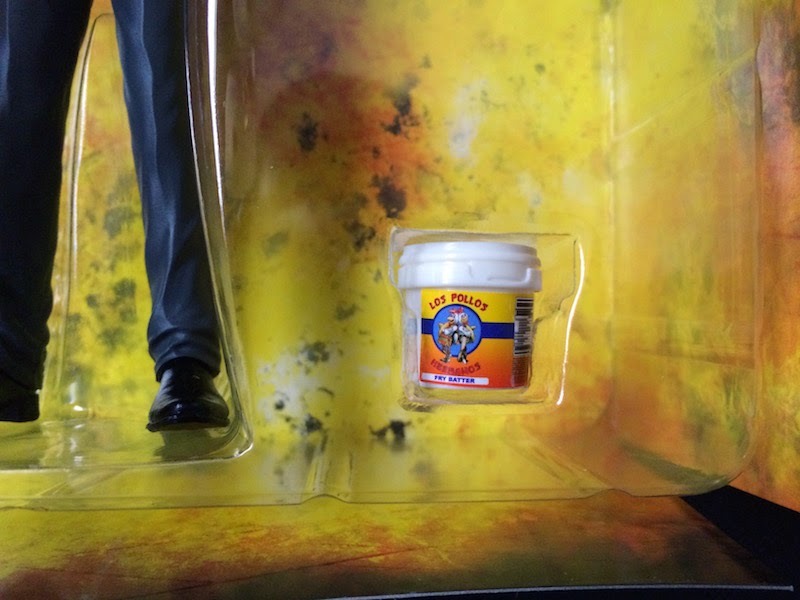 This amazingly detailed figure measures about 6 inches tall and comes with a bucket of Los Pollos Hermanos chicken! The first thing you'll notice about this exclusive figure is that it comes in a nicely decorated box and not the normal blister type packaging which most of this line came in. 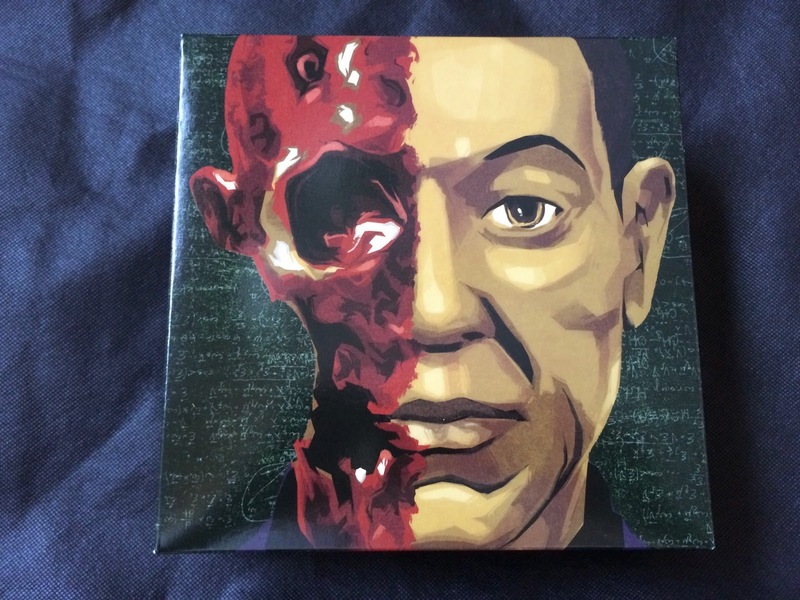 The box comes in a plastic sleeve which has a portrait of Gustavo painted on it. Slide the sleeve off and you'll see the same image but with half his face burned off! Great packaging gimmick! The figure itself is very nicely detailed! Gus is wearing his blue suit and adjusting his tie just like he was doing in the final moments after the explosion on the show. Also included in this set is a bucket with the Los Pollos Hermanos logo stamped onto it. 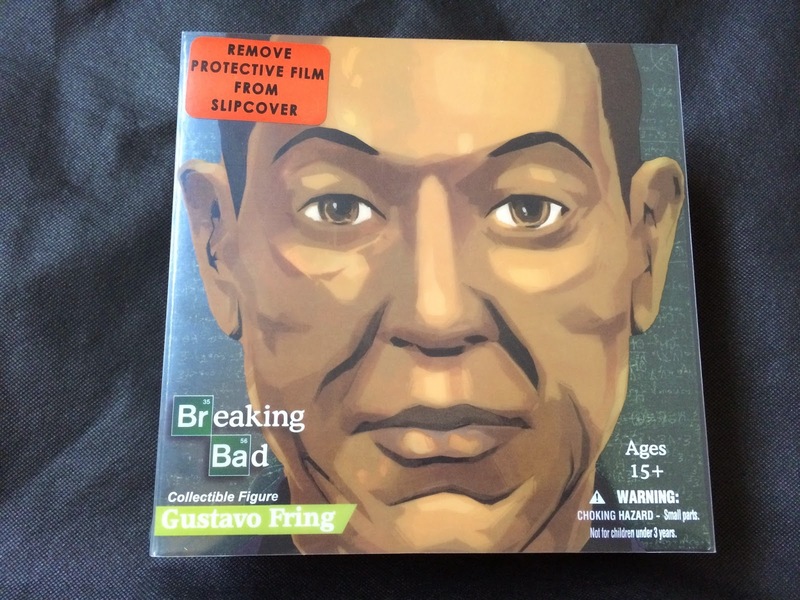 Overall a must have figure for any fan of Breaking Bad! When I look at this figure I think back to when I saw the scene for the first time as they panned across Gus' face and I'm asking the question; "Did he survive the blast?" Great figure!